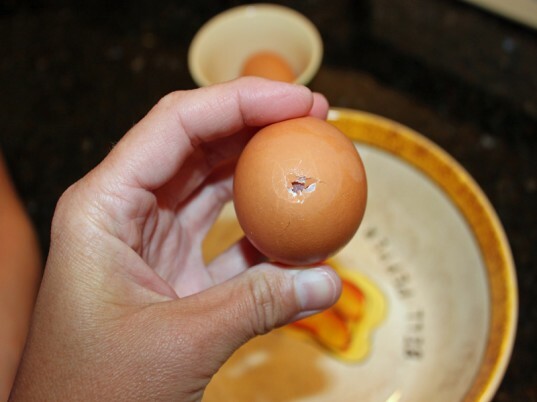 The next time your family cooks an egg, carefully cut a small hole in one end of the egg with a knife or fork and a larger hole on the other side. 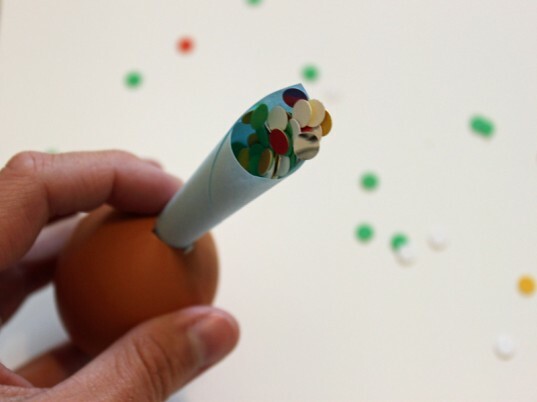 If you are making confetti filled eggs with your children, they will love to blow the egg out into a bowl, just make sure to use the egg and don’t waste it. 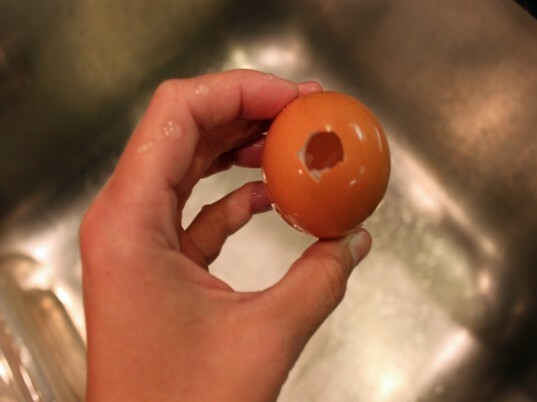 Use a solution of water and dish cleaner to clean the inside of the egg thoroughly. 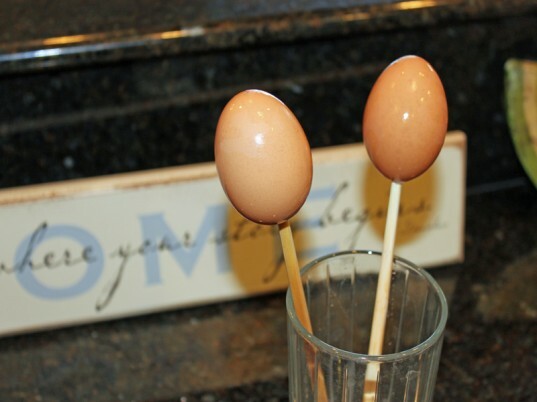 You can dye the egg first if you wish – I decided to leave them brown. 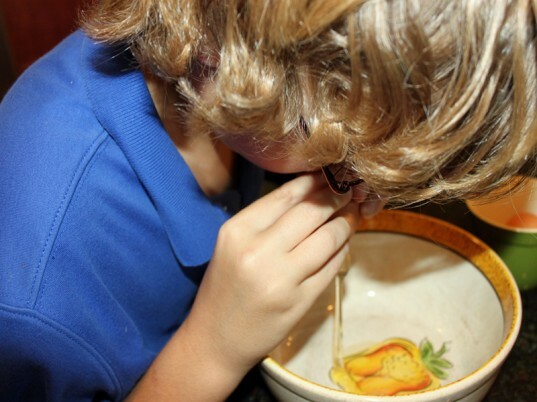 I placed each egg on a chopstick inside of a glass and let them drive completely overnight. 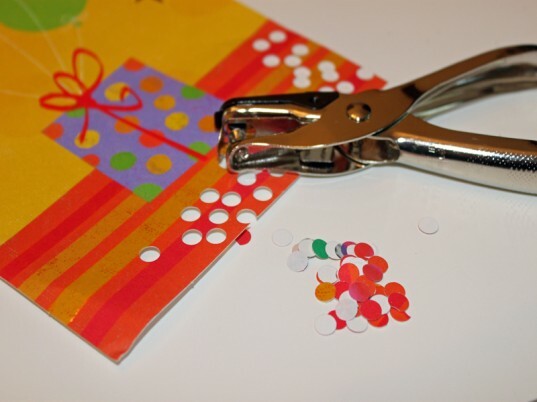 Carefully add the confetti to the egg, you can also use eco-friendly glitter if you have it. 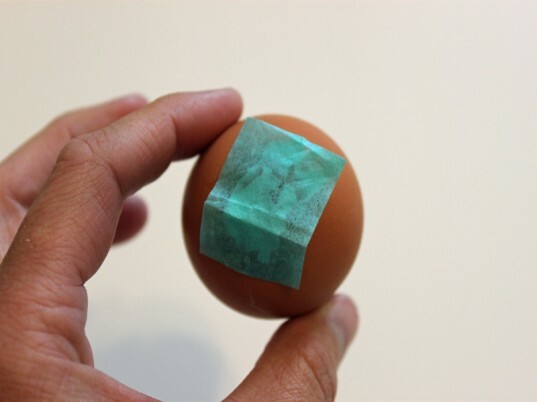 Use a small dab of glue to secure a scrap of tissue paper to the larger hole on the egg, let it dry completely. When your child isn’t suspecting it, crack them on the head with a confetti egg! It will have a larger impact if they see you coming with the egg. Ha! 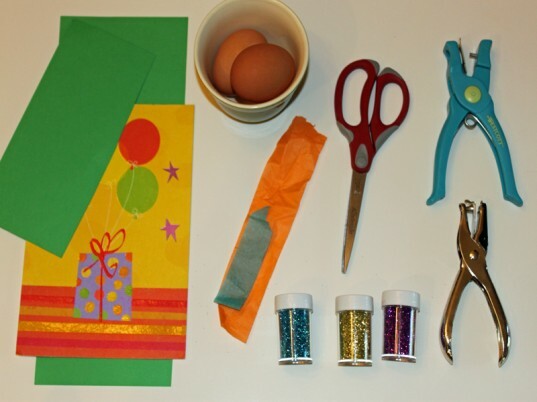 If you are making confetti filled eggs with your children, they will love to blow the egg out into a bowl, just make sure to use the egg and don't waste it. 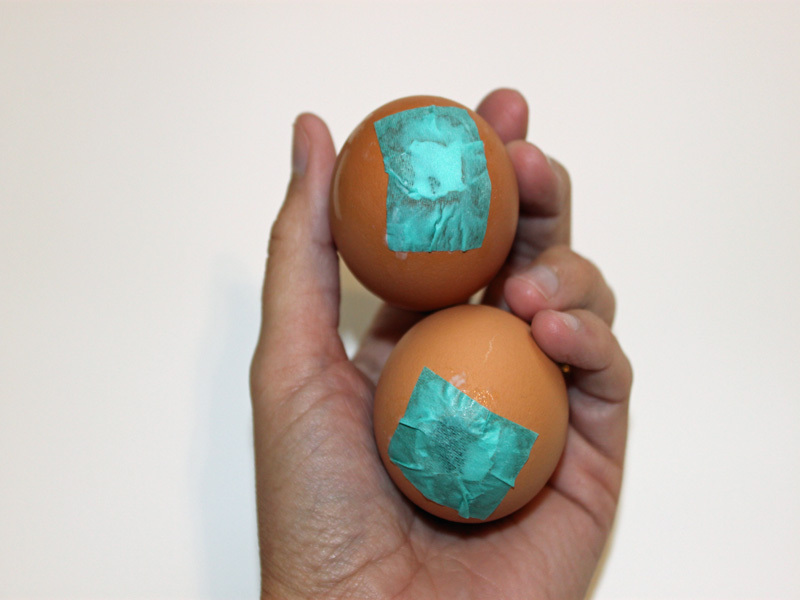 Use a solution of water and dish cleaner to clean the inside of the egg throughly. You can dye the egg first if you wish - I decided to leave them brown. 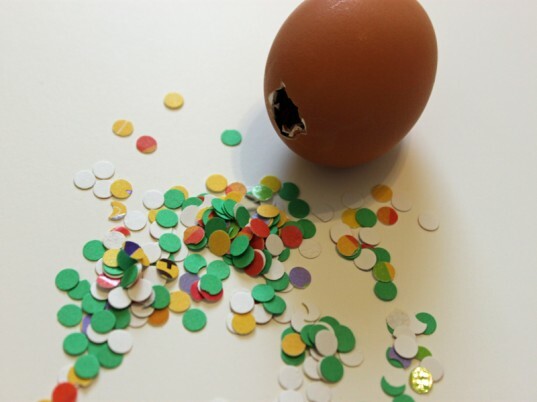 When your child isn't suspecting it, crack them on the head with a confetti egg! It will have a larger impact if they see you coming with the egg. Ha!